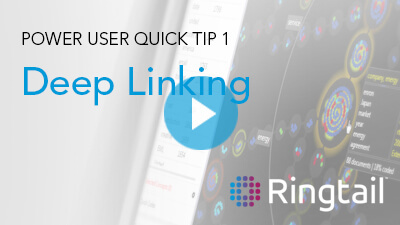 Learn how you can use deep linking to improve team collaboration. 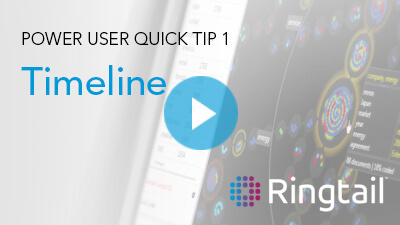 Watch how timeline can be used to narrow your document set using the filter of time. Accelerate your workflow by editing core fields such as pick lists, dates, numbers, text, boolean, and memo fields on the fly. 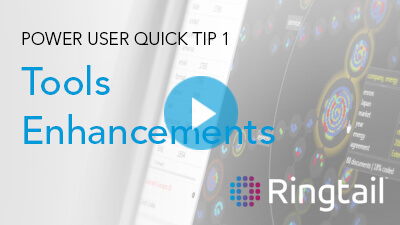 See how to activate key functionality from the enhanced tools drop down. 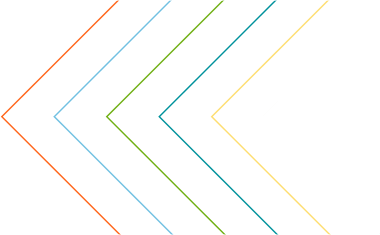 View the latest Ringtail usability enhancements. 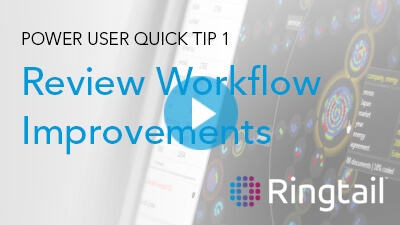 View review progress and estimated time to completion using the Review Dashboard.